The end of winter is coming. The days are getting longer and warmer. You look in the garage and see that motorcycle, scooter, dirt bike or atv. It hasn't run and you just don't know what's wrong with it. So BRING IT in to Extreme Motor Sales! We are located in Apopka, FL at the corner of 436 and Piedmont Wekiva Road. 2327 E Semoran Blvd, Apopka, FL 32703. Do you need just an oil change? We can do that.. Need a service? We can do that.. Need parts.. We have those too! Don't let your powersport sit and rot.. get it running again and get out there and have some fun! We service scooters, motorcycles, dirt bikes, go karts, atvs, UTVS, Razor Electric, Coleman and more! We have been in business for 17 years.. take your bike to someone you can trust! 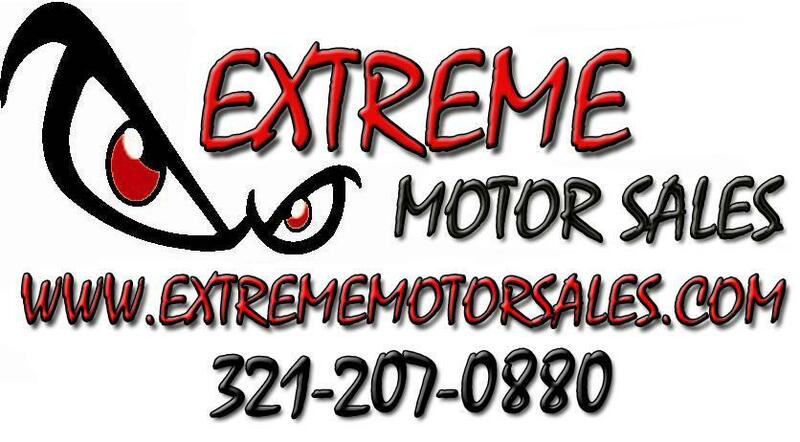 Extreme Motor Sales, 2327 E Semoran Blvd, Apopka, FL 32703. Call us 321-207-0880 or send us an email to parts@extrememotorsales.com!